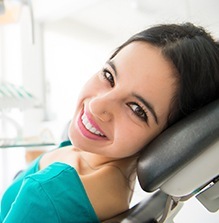 Teeth need a solid foundation of professional, prevention-based care to stay strong and healthy, and our San Antonio, TX team would be happy to help you with this goal for many years to come. 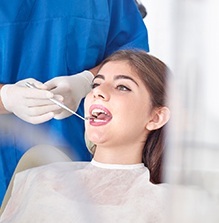 We can provide thorough checkups, revitalizing cleanings, oral hygiene instructions, and more like-minded options for children and adults alike, helping the whole family sidestep major dental issues and fully enjoy their best smiles. Has it been more than six months since your last dental appointment? Don’t hesitate to contact San Pedro Smiles today. Even the most passionate brushers and flossers may end up with a dental problem that goes unnoticed during their everyday routine. That’s why attending regular appointments with a trusted dentist like Dr. Gonzalez is so important for your ongoing smile. 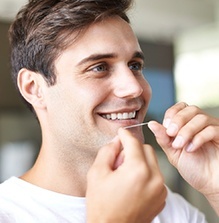 He will thoroughly review your unique smile and help you devise a personalized treatment plan to address any problems that pop up. Then, our hygienist will cleanse your mouth of harmful plaque and minor stains, leaving your smile feeling nicely refreshed. Periodontal disease (more commonly known as gum disease) is the leading cause of tooth loss among adults here in the United States. Our team takes this infection very seriously, and we will do everything we can to combat it right away with effective therapy options. If your gums seem excessively red or swollen, don’t hesitate to contact us for a screening. Dental sealants are simple but effective plastic-based coatings that are designed to cover the chewing surfaces of the back teeth. Why? Because these areas are big targets for food particles to stick in place and cause cavities over time. With a tough dental sealant in place, the teeth are better-protected from harm. We usually recommend this service for children, but adults who are particularly sensitive to tooth decay may benefit as well. Are you or a loved one a seasoned athlete? Do you regularly participate in sports where physical contact with hard surfaces, objects, or other players is a distinct possibility? 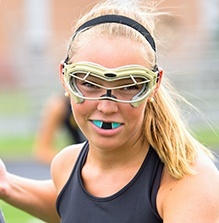 Wearing a sportsguard is absolutely essential if you want to maintain a healthy, happy smile throughout these activities. Dr. Gonzalez can design a custom-made appliance that’s very sturdy and comfortable, plus, unlike store bought models, it’ll be flexible enough to allow the wearer to breathe and speak clearly. If you’re regularly waking up with jaw pain or aching, worn-down teeth, it’s possible that you may be a victim of bruxism, which is more commonly known as teeth grinding. The majority of the population with this common condition only experience it while asleep, leaving them in the dark as to why their smile is gradually becoming more and more damaged over time. 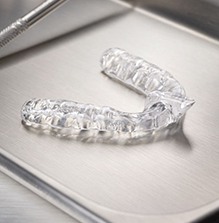 Thankfully, our team can provide a personalized nightguard that protects both rows of teeth and minimizes any damaging contact between them. 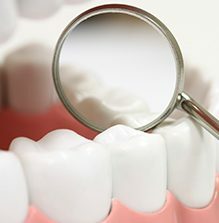 Oral cancer screenings are a vital part of all of the checkups we provide here in San Antonio. Why? Because this disease claims thousands of lives every year, many of which could have been saved if the disease had been discovered in time. During your appointment, Dr. Gonzalez will carefully inspect your mouth for strange sores, white or red spots, and other qualities that may suggest the presence of cancerous/pre-cancerous cells. If we find anything concerning, our team will help you take the next steps towards a proper diagnosis right away. Fluoride is a natural mineral that (according to research) is very beneficial when it comes to ongoing oral health. That’s why most communities here in the United States add it to their municipal water supplies, and also why you’ll find it in a wide variety of oral hygiene products at the local pharmacy. If you and your children aren’t receiving enough exposure to fluoride in your everyday life, talk to our team about the possibility of undergoing a professional application here as part of your regular checkups and cleanings. 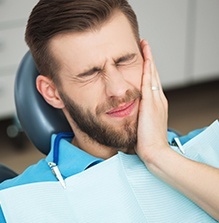 When a serious dental injury and/or pain strikes, your family will need relief fast. At San Pedro Smiles, our approach to emergency care is truly 24/7! We make time to see urgent cases on the same day as the initial call, and phone service is available after-hours as well. 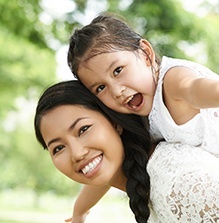 Our practice is always open to patients of all ages, including whole families! 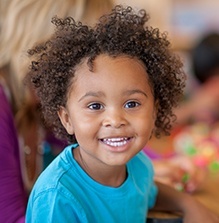 We love getting children started on the right path towards a lifelong healthy smile, and our gentle and friendly demeanor will be sure to help them feel at ease from their very first appointment. Complete checkups, fluoride treatments, dental sealants, tooth-colored fillings, and other kid-friendly services are available when they need them.